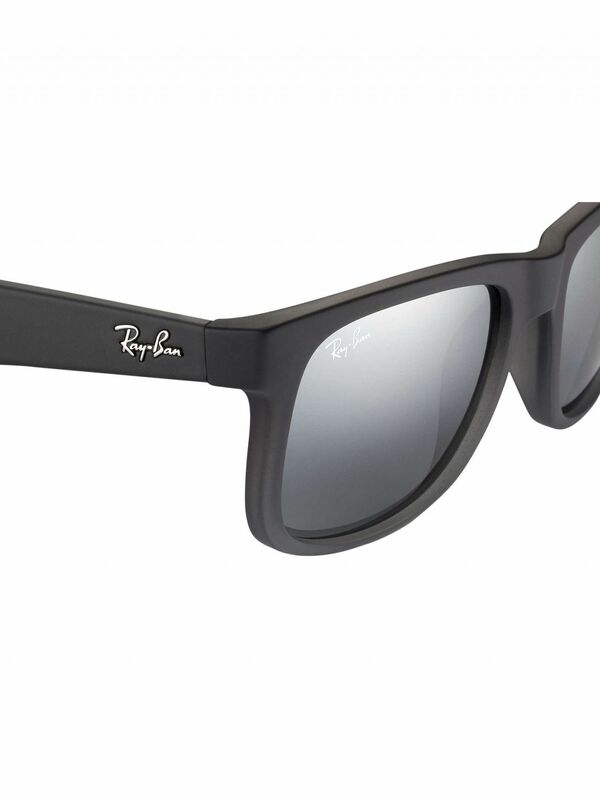 The Justin Sunglasses from Ray-Ban comes in Silver Gradient Mirror colour, featuring a rubberized frame finish. 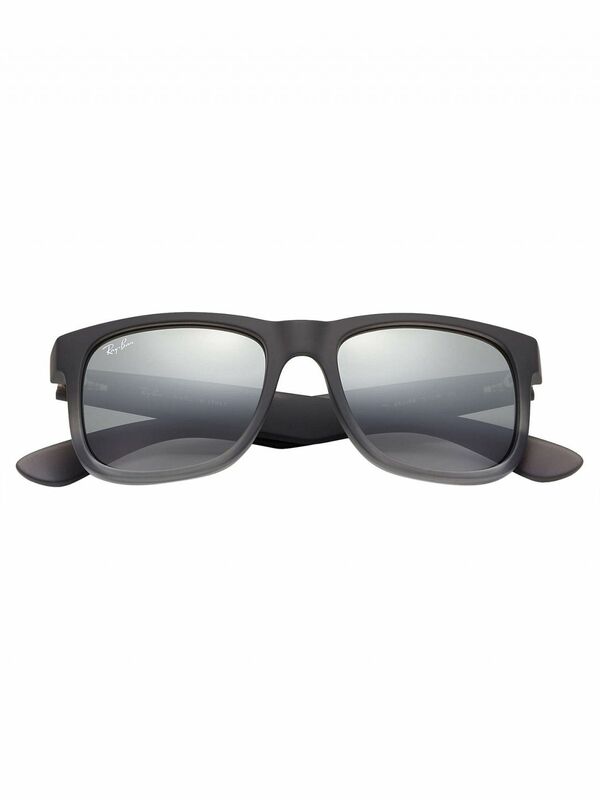 Gradient-Mirror lenses combine a mirror and a base lens colour to create a two-toned faded effect. 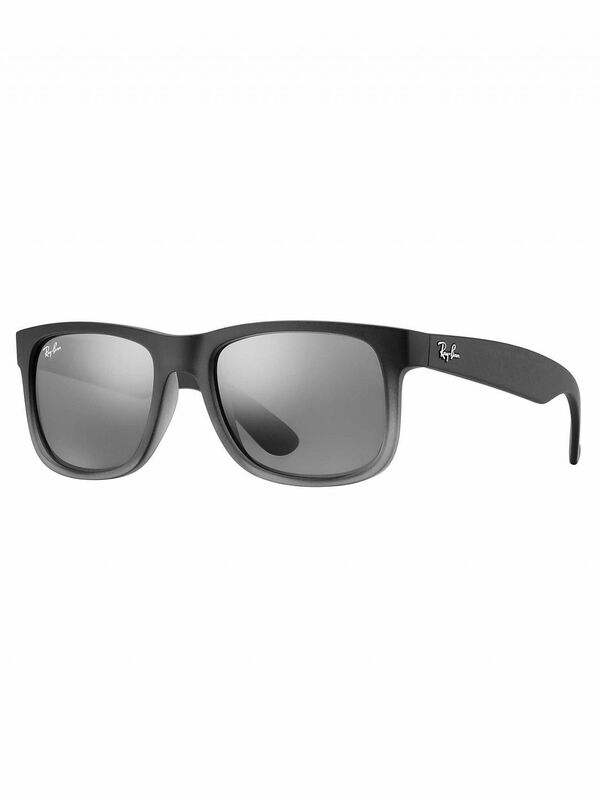 With a logo on the arms and on the right lens, these sunglasses come with a hardcase included. Size lens-bridge: 55-16. Temple Length: 145.